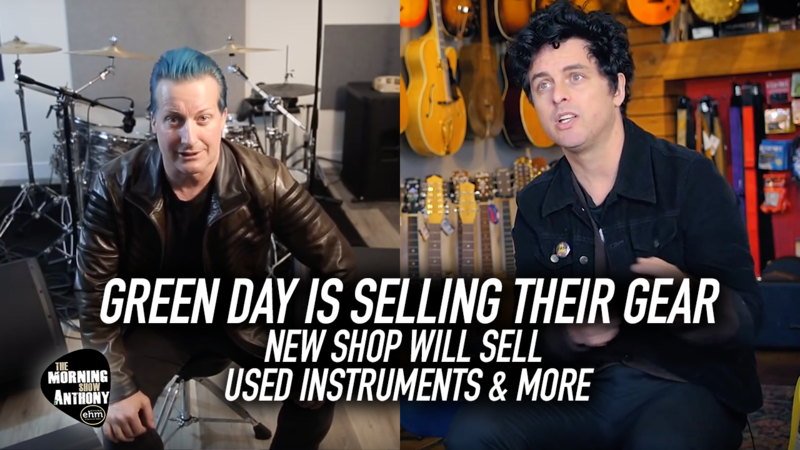 The members of Green Day are parting ways with a few things in their collection. The punk trio is selling more than 100 pieces of gear through the online gear marketplace Reverb.com. Among the 44 guitars frontman Billie Joe Armstrong is putting up for sale include the Harmony Stella Parlor Acoustic Guitar he used to record the Dookie track "F.O.D.," and a reassembled 2011 TV Yellow Gibson Les Paul Junior Guitar, which he had smashed to pieces during a 2012 festival show in Las Vegas. Check out the vid for more info!